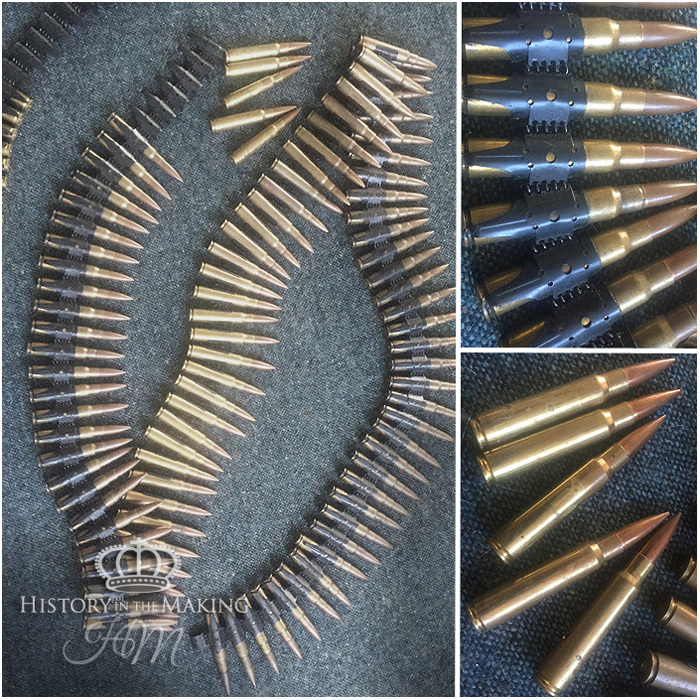 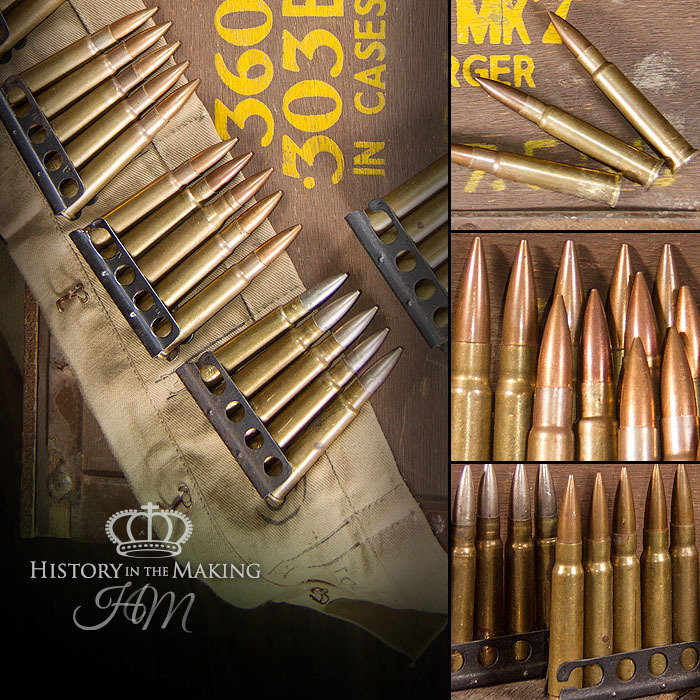 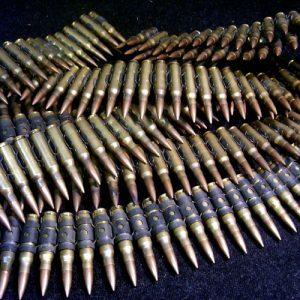 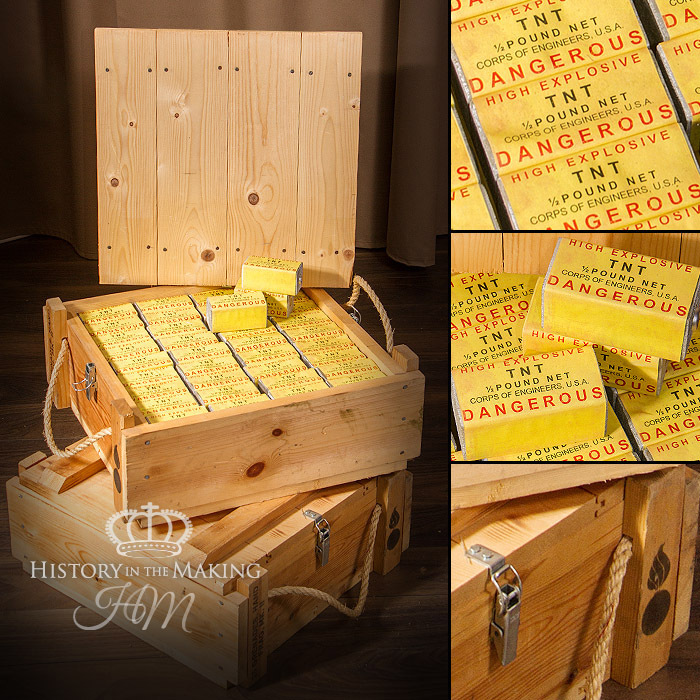 All of the ammunition displayed in the prop hie department is supplied as film prop only. 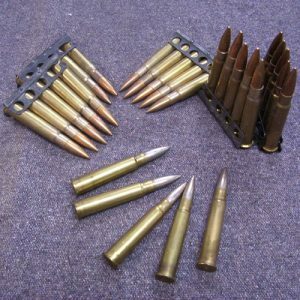 All of the rounds are inert and will not fire. 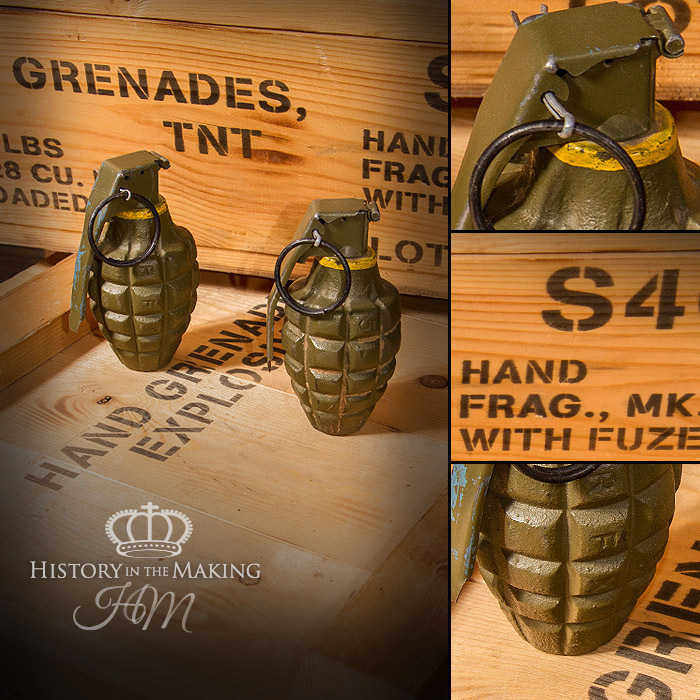 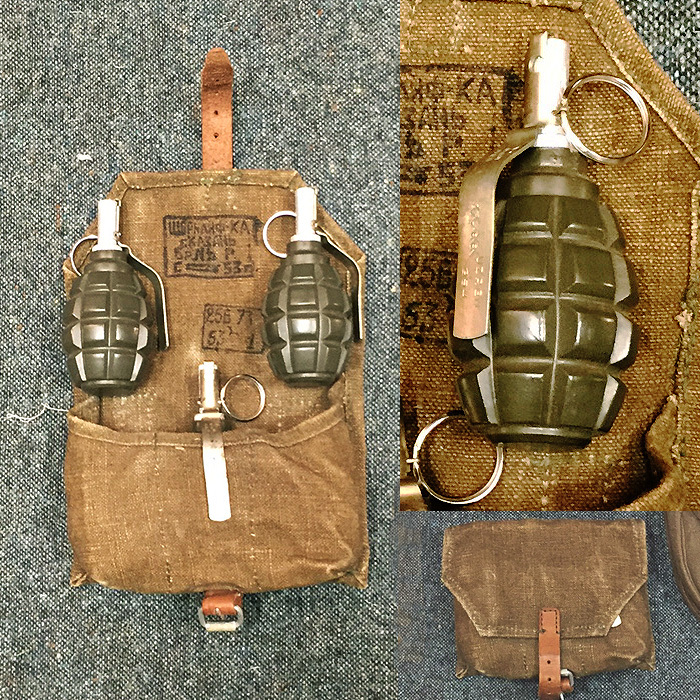 British WW1 Mills grenades- resin cast. 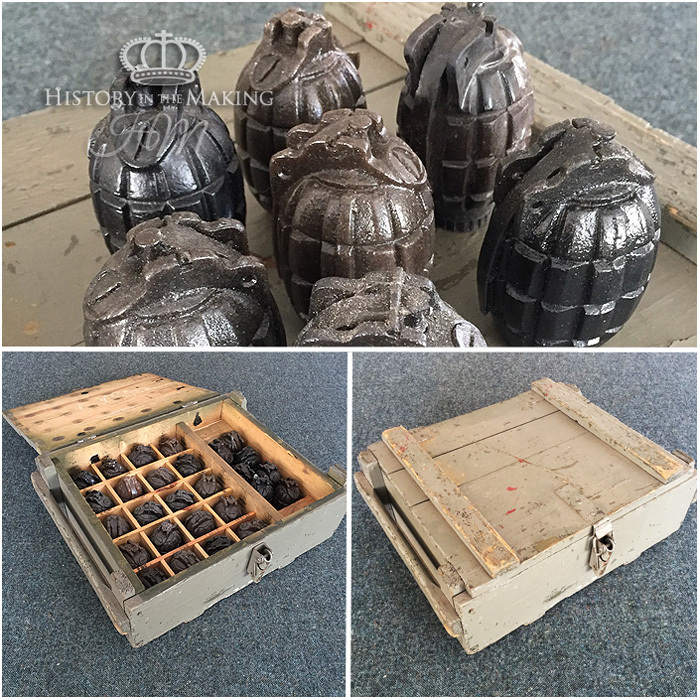 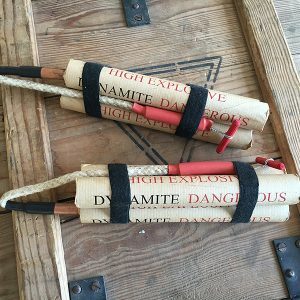 German WW2 Stick Grenade in transit tins.